When: Friday-Sunday; gates open at 8 a.m. Friday. Special guests: RJ and Jay Paul Molinere of the History Channel’s “Swamp People” show will hold a question-and-answer session at 4 p.m. Friday. Julyamsh is more than a powwow. 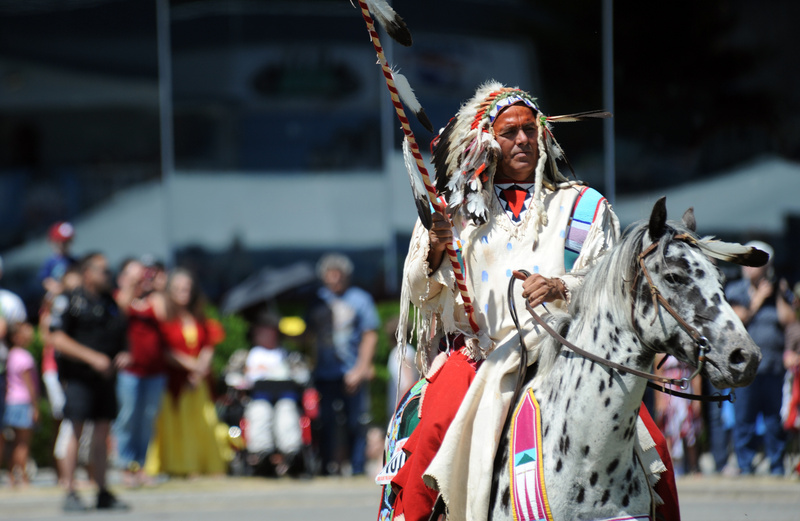 It’s a celebration of American Indian culture – dancing, music and art. This year’s powwow features plenty of music and dancing. It also will feature the Painted Faces art show and auction, including works by some of the region’s best-known Indian artists. The works will be on exhibit at the Greyhound Park and Events Center in Post Falls before the auction, at 4 p.m. Saturday. Proceeds from the auction will benefit the Shriners Hospital for Children in Spokane. Ric Gendron, Terrance Guardipee and George Flett are among the regional artists who will have works in the show. Sculptor Adrian Wall and ceramics artist Kathleen Wall, of Jemez Pueblo in New Mexico, also are among the featured artists. New this year is a contemporary Native American fashion show featuring pieces by designers Bonnie Woodie and Penny Singer. The fashion show will be featured tonight during a kickoff reception for artists and buyers at the Jacklin Arts & Cultural Center, 405 N. William St., Post Falls. The reception runs from 5 to 7 p.m.
For more information, visit www.julyamsh.com.